I’ve been making this dish for so long (13 years!!!!) that I can’t believe I’m just sharing with you now! This dinner is a joy – different, delicious, and easy enough for a weeknight but perfect for serving up to guests too. And it can all be assembled a day in advance! I’ve got step-by-step photos to accompany the recipe, and I highly recommend the simple arugula salad that accompanies. Very few recipes stand the test of time around here – this is definitely one of them. Let me know if you make it, and I’d love to know what dishes you’ve been making for years and years! Cover a work surface with plastic wrap and place the steak on top with one short side nearest you (the grain will be running vertically). Use a sharp knife to slice (“butterfly”) the steak open like a book, being careful not to slice all the way through. 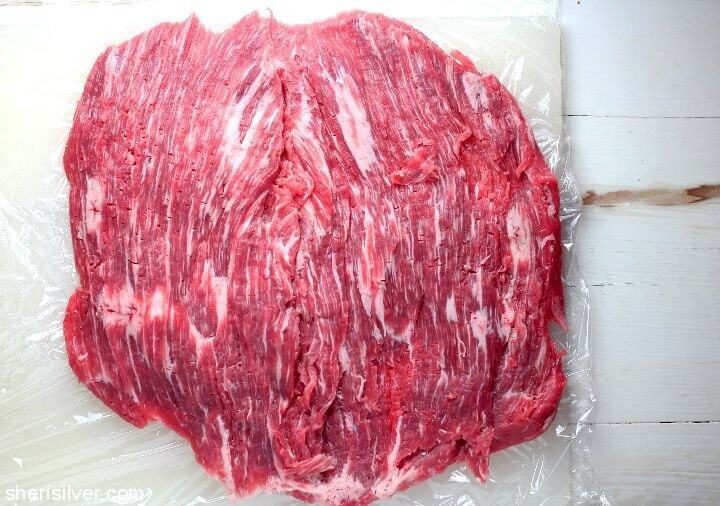 Cover the steak with a double layer of plastic wrap and pound it to a 1/4″ thickness. 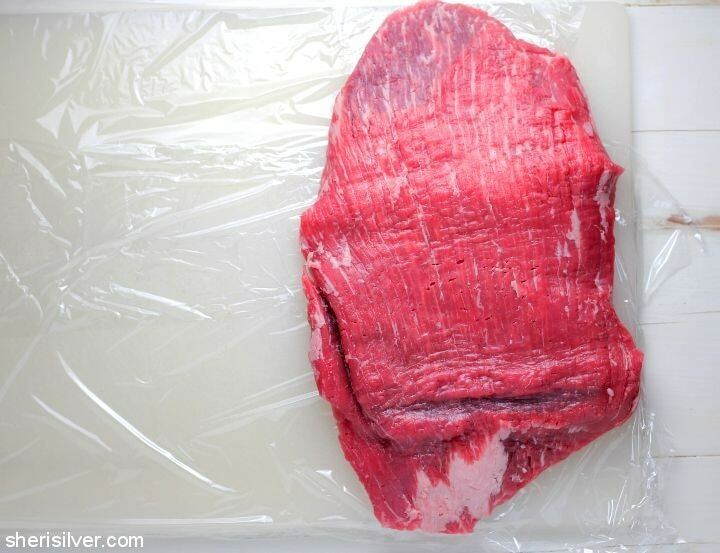 Discard the top sheets of plastic wrap and turn the steak so that the grain is now running horizontally. Rub with 1 tablespoon of olive oil and season with salt and pepper. 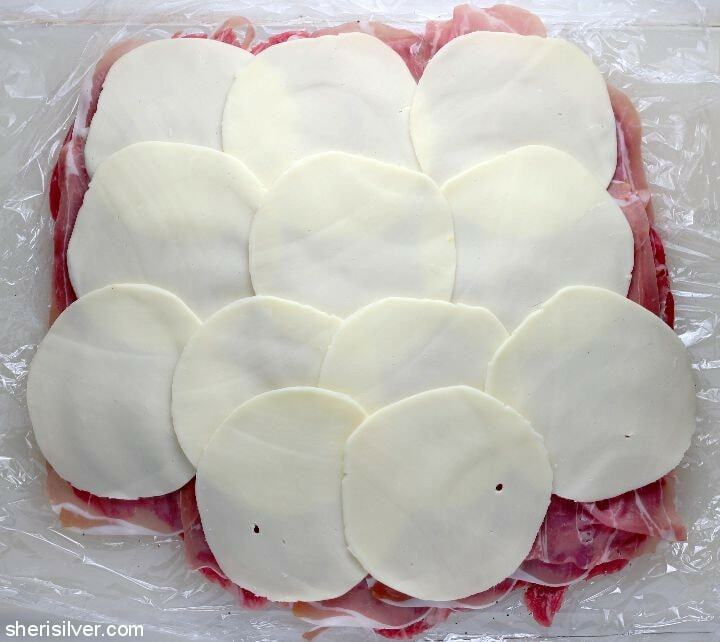 Top with the prosciutto, slightly overlapping the slices, and repeat with the cheese. 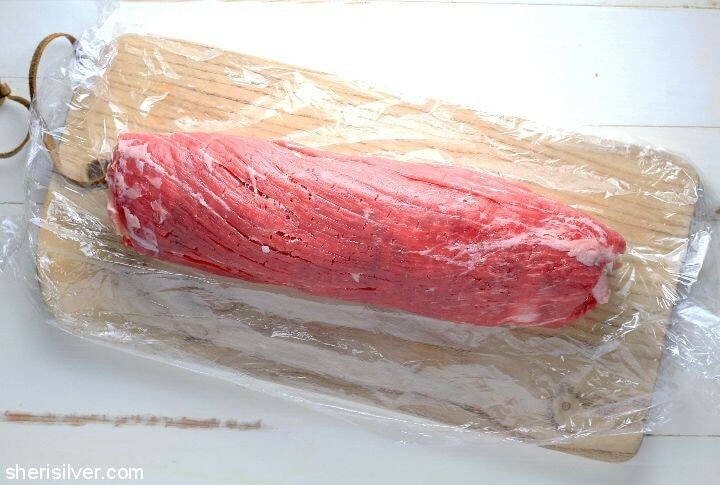 Use the plastic wrap as an aid to roll the steak tightly (at this point you can refrigerate the steak for up to one day before continuing). Pre-heat the broiler on high; line a baking sheet with foil or parchment paper. 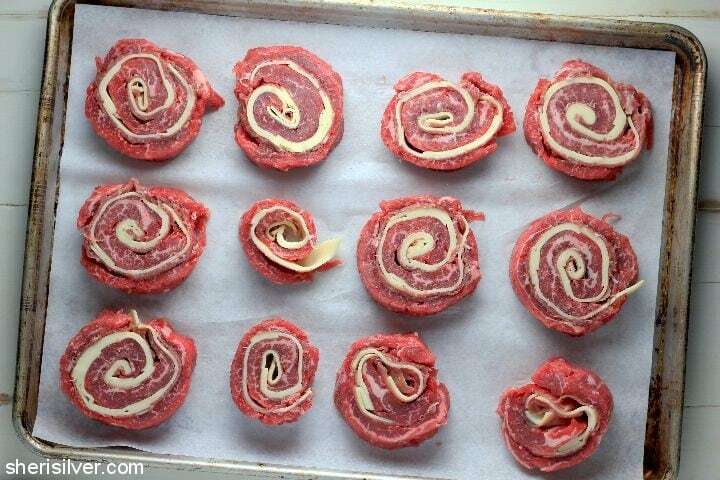 Use a sharp knife to cut the steak into pinwheels about 1″ thick. Place on your prepared sheet and press each pinwheel down with your hand to flatten slightly. 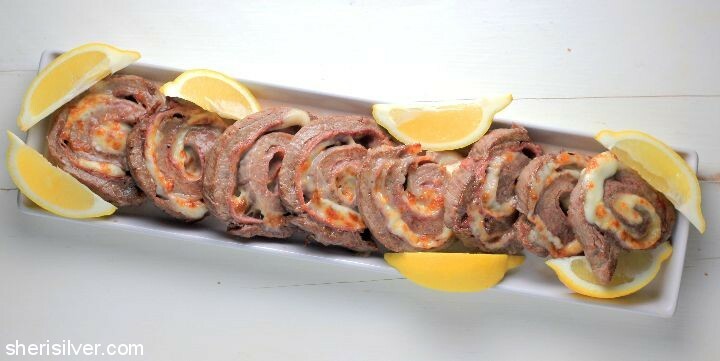 Broil for 6 – 8 minutes, turning halfway through. Toss arugula with remaining 2 tablespoons of oil; season with salt and pepper. 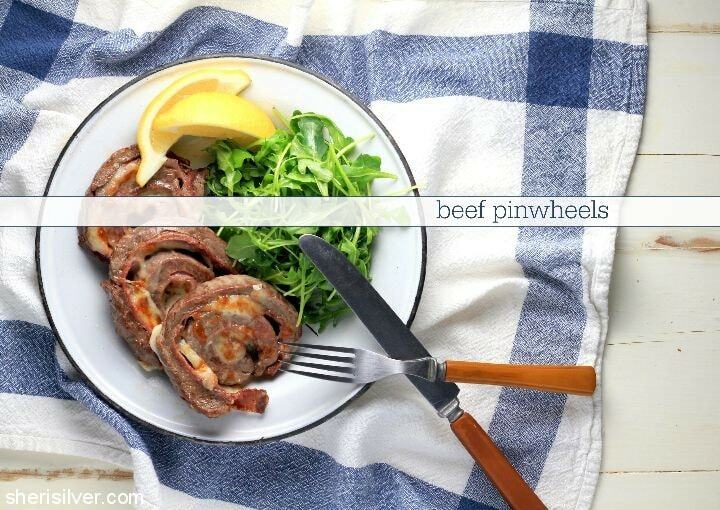 Serve pinwheels with arugula and lemon wedges. More delicious dinner inspiration can be found on my Pinterest board! Note: I originally shared this recipe a few years ago on Babble; I thought it was time for an updated version (and better photos)!